The S4 is a mechanical beast, offering up 333 horsepower pumped out of its V6 engine. Take the Audi S4 from a standstill to a cheetah-speed, 62 miles per hour in an outstanding 4.7 seconds. The automatic transmission is delightfully responsive, regardless of whether the driver opts for paddle shifting for full automation. Plus, the Audi S4 features all wheel drive control that ensures dominance over the road in nearly any condition. The S4 offers up a plush interior with intuitive, easy-to-use controls. The wheel, dash, and center console are streamlined and modernistic. Audi has combined leather, suede, and metal to beautify the interior of the S4. Now, the exterior of the S4 is classic Audi. The side profile of the Audi S4 features the famous smooth curves that are true to this car manufacturer. The front profile, meanwhile, features bold geometries that scream power and speed. In short, the S4 embodies every aspect you’d expect from Audi style. Now if you’re still not sold, then you’d better test drive the Audi S4 for yourself. 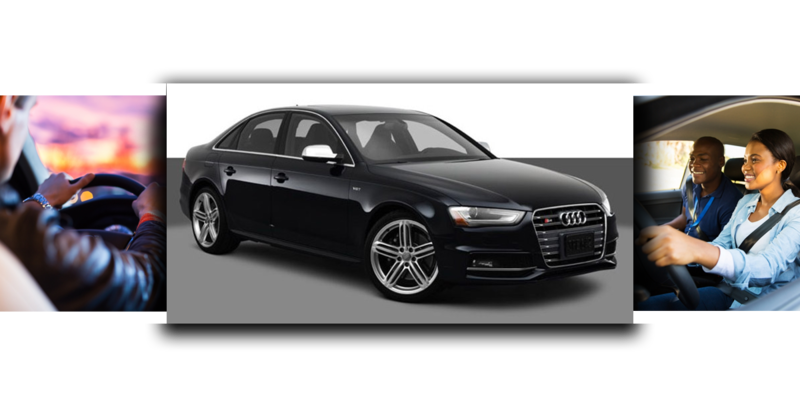 Here at Klasse Auto Rentals, your Denver source for luxury vehicle rentals, we offer up an all-wheel drive, seven-speed, automatic Audi S4. Our model features paddle shifters, a leather and suede interior, heated seats, a sunroof, power windows and adjustable seats, and iPod and MP3 compatibility. Plus, you can hug the road with the S4’s unparalleled stability and traction control. Don’t forget, the Audi S4 is graciously spacious – you can comfortably fit a family of five. Or, if it’s a business trip, you can impress your crew with the comfort of the S4. Ready to rent? Check out the availability of our Audi S4!